Digital Camera Review has tested the Sony Cyber-shot DSC-S2100 digital camera. 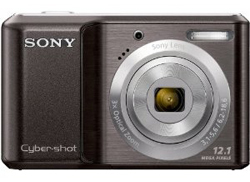 This budget camera from Sony sports 12 megapixels, 3x optical zoom and a large 3″ LCD screen. Digital Camera Review ends up giving the Sony Cyber-shot DSC-S2100 an overall score of 3.5 stars out 5. The camera scores highest on features while scoring a bit lower on video and image quality. The reviewer finds the S2100 to produce good images in good light, but when you use lower ISO values the image quality is pretty poor. The reviewer also miss image stabilization and does find the buttons to be a bit small. Overall this seems like a good camera at a low price, but you can expect wonders from a camera costing around $100. Read the full review of the Sony Cyber-shot DSC-S2100 digital camera here. CNET UK has reviewed the Canon Digital IXUS 105 IS digital camera (also known as Canon PowerShot SD1300 IS in some markets). 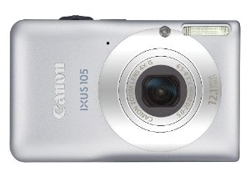 The IXUS 105 feature a stylish camera body, 12 megapixels and a wide angle zoom lens. CNET UK ends up giving the Canon Digital IXUS 105 IS an ok review with an overall score of 6.8 points out of 10. The reviewer finds the camera to have a great design, good controls and a useful zoom range. On the negative side they find it to have a high price tag compared to what you get and the picture quality is not top of the line. If you are after a camera that looks really good the IXUS 105 might be the camera you are looking for. Read the full review of the Canon Digital IXUS 105 IS / Canon PowerShot SD1300 IS camera here. About.com has tested the Kodak ESP 7250 All-in-One printer. This Kodak printer is able to print directly from smartphones and has wireless connectivity. About.com ends up giving the Kodak ESP 7250 an overall score of 4.5 out of 5 stars. The printer makes prints of high quality and has useful features duplex and bluetooth. It also has ink refill which make it cheaper to run and has a separate tray for photo printing. The only downsides are slow print speeds and lack of Automatic Document Feeder (ADF). Read the full review of the Kodak ESP 7250 All-in-One printer here. Trusted Reviews has tested a portable printer called Canon SELPHY CP790. 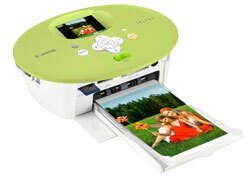 This Canon printer has a large 3 inch LCD screen and is able to make a postcard sized photo in about 47 seconds. Trusted Reviews ends up giving the Canon SELPHY CP790 an overall score of 8 out of 10 points. The printer scores highest on features, print speed and print quality while scoring lower on value. Overall this printer is very good and has many usable features, but the expensive running costs bring the overall score down a bit. 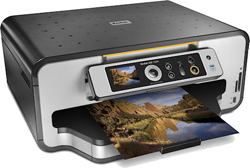 If you need a portable photo printer the CP790 might be your choice. Read the full review of the Canon SELPHY CP790 portable printer here.